In our 3-part blog series on how engines really work we’ll get down to the nuts and bolts of what makes your engine rev. In the first instalment, we mastered the basic engine types and parts. 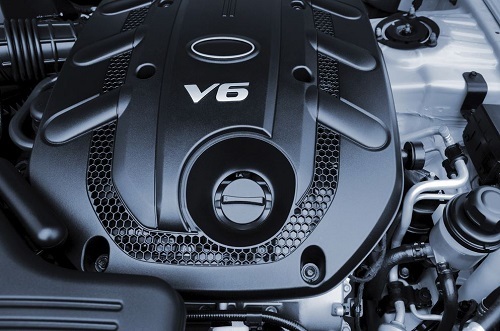 This time we’ll be taking a closer look at the different subsystems in modern engines. If it ain’t broke, don’t fix it. The first new car to hit the streets was fitted with a four-stroke combustion cycle engine much like that of today. But we have come a long way in automotive engineering innovation since the Benz Patent-Motorwagon of 1886. Today’s new technologically advanced cars are fitted with a host of superior subsystems like engine cooling, ignition systems and valve trains. Let’s dive in. “Just gotta let her warm up” – an utterance we’ve all heard before. Modern cars are fitted with very powerful engines and it takes a very powerful motor to spin a cold engine. If the start system and start solenoid are not in tip top condition we’ll have problems. When you turn the key, the starter motor spins the engine a couple of times to get the combustion process in motion. Hundreds of volts of energy must flow into the starter motor, so the starter solenoid works like a light switch that can handle all that current. The valve train consists of the valves and the camshaft. The camshaft is the mechanism that opens and closes the valves by moving them up and down. Whilst older engines used camshaft located in the sump, modern innovation brought us more efficient overhead camshafts. The camshaft is linked to the crankshaft by a timing belt – ensuring the cams move in time with the pistons. Heard the phrase “dual overhead cams” thrown around? Basically, that means four valves per cylinder (2 intake, 2 exhaust), which requires two camshafts per bank of cylinders – hence the phrase. You already know the purpose of the ignition systems – but where does that little spark come from? It’s quite simple: a high voltage electrical charge is produced by the ignition system and transmitted to the spark plug by ignition wires. The charge first flows to a distributor, that has one wire in the centre, and 4, 6 or 8 wires coming out of it. Each wire passes the charge to the corresponding cylinder and spark plug and voila! For maximum smoothness, modern engines are carefully timed so that only one cylinder receives a spark at a time. All that energy production is bound to make things hot in there. That’s where engine cooling systems come in. Mostly, they consist of a radiator and water pump. Water is circulated through passages around the cylinder, then through the radiator to cool off. Simple. What do you think the future holds for engine subsystems? Read part one and part three.